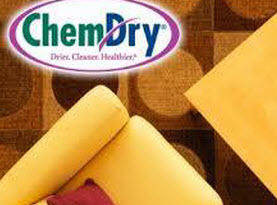 Welcome to the carpet cleaning professionals at Heart of Texas Chem-Dry, LLC. We have proudly provided premium floor and furniture cleaning and restoration services to residential home and commercial business owners in Bell, Collin, Dallas, Denton, McLennan and Williamson County, Texas since 1984. We are independently owned and operated. 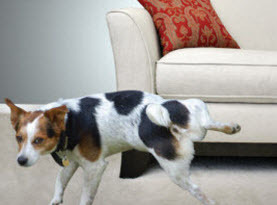 With over 33 years of expertise in the carpet cleaning industry, our mission is to provide your home with superior services that are designed to professionally deep clean your carpets using world-class equipment and quality cleaning supplies that are safe for the whole family, including pets. Heart of Texas Chem-Dry, LLC offers a deeper, longer lasting clean in cities such as Waco, Dallas, Arlington, Harker Heights, Cedar Park, Allen & the State of Texas. Family owned and operated, we are licensed and insured to provide you with complete protection and peace of mind. 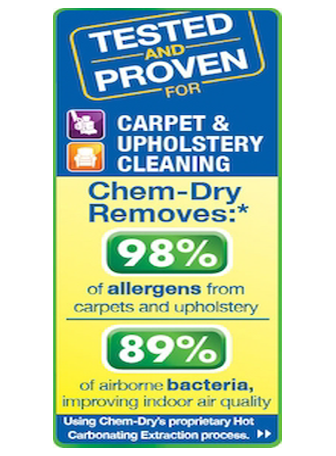 Heart of Texas Chem-Dry, LLC is proud to be approved by the carpet and rug institute! 50% Off Any Service Over $250 Just for Downloading Our App! Have all our quality services right at your fingertips. 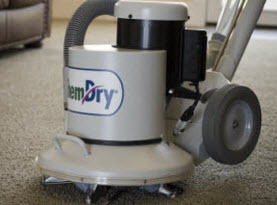 At Heart of Texas Chem-Dry, LLC we treat your carpets the way we do our own by providing a science based method of carpet cleaning that is far superior to other carpet and upholstery cleaning methods. Our carbonated cleaning solutions are the most effective way to provide your home with a deep clean that is a definite cut above other more traditional carpet cleaning methods. The carbonated solutions used by our professional carpet cleaning technicians are designed to remove dirt and debris that have become deeply ground into your carpet fibers along with deep stains that have set into your carpets, rugs and soft furnishings. The powerful effervescence bubbles penetrate deeply to lift the dirt and debris to the surface of the fibers where they can be professionally extracted and whisked away. The process of carbonation is so effective that we are able to use 80% less water than the more traditional carpet cleaning methods used by our competitors. Our carbonated cleaning solutions allow your carpets and upholstery to dry faster, without the risk of developing mold and mildew. In fact your carpet will be dry in a matter of hours rather than days. We guarantee it! Click on the Icons Below to Learn More About Our Cleaning Services in Greater Waco, TX!